Joomla is another open source management content system. It is being referred by the majority as one of the best CMS in the entire world. When installed, the administrator of the website can login to the administration backend console and set up different sections, content items, categories, polls and everything more. When new contents are now created, a “what you see is what you get” or WYSIWYG editor allows you to edit free Joomla even if you do not know anything about html and html codes. But, even users are not mandated to learn or t know html, they are still encouraged to so that they can edit and manage their own website by their few basics or complicated customization. In addition, if you really do not have any knowledge about html, there is a Joomla community forum. It is where designers and programmers help new users to know anything related to this; anything and everything if possible. 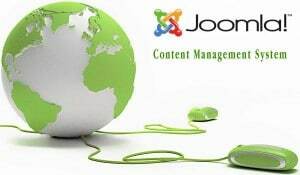 Joomla is an open source management system which is PHP-written for managing content and publishing on the web using database, especially the MySQL database. Joomla also includes features such as web indexing, page caching for improvement in its performance, RSS feeds, newsflashes, and printable versions of pages, forums, blogs, calendars, polls, language internationalization and website searching. Joomla comes from the Swhili word “jumla” which literally means “as a whole” or “all together”. And it was first released in the year 2005 in 15th of September. And it was released under GNU or the General Public License. Change of order of objects such as FAQs, articles, news and etc.